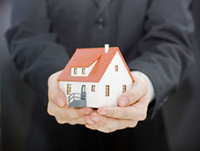 ARMI Property Management, ARMI Property Managers, ARMI Northern VA Property Management Companies. We have a proven record of helping people like you realize strong financial returns on their investment properties because we are experts in our field. Our client list has grown from several dozen residential properties in 1995, to hundreds of homes. Through it all, we are still committed to providing each client and property the personal attention and care it deserves. Unlike other companies, we are not a franchise of Real Estate Agents who treat the rental market as hobby; we are a family-owned and operated company whose business is Property Management. If you are tired of the cookie cutter approach to property management then we are the company for you! We believe each client is unique and each property is different and we work to tailor our service to your needs. Not only will you always access to a dedicated property manager, but you will ALWAYS have a direct line of communication to the Owner of the Business! Welcome to Our Family! Since we focus only on property management, we can invest in the latest technology that property management has to offer. From our inspection software, to work orders, to accounting, to rent collection, and secure owner distributions, we offer the latest secure online platforms which is 100% free in your monthly management fee. We don't believe in gimmicks, guarantees or sales pitches. The truth is there is no guarantee in property management. There are only time tested processes, protocols, and procedures to make sure you are not only making the most money you can from your property, but also playing by the rules. We know, we've done it, and done it well for 20 years. If you're not satisfied with us, or our performance you may cancel your contract with us at any time. In order to be the best you have to be trained by the best! Not only are all of our property managers licensed Realtors in the Commonwealth of Virginia, but they also receive quarterly and yearly training form the National Association of Residential Property Managers (NARPM) to keep their skills up to date. The Broker of ARMI also serves as the Vice President of the Northern Virginia chapter of NARPM and attends State Level and National Seminars in the field of residential property management. Like we said, we are experts, and we are proud of it! We don't moonlight. This is not a side-gig. Property management is our life and we love it, plain and simple! Contact us today to see if we would make a good strategic partner for you and how we can make your rental property, an investment! We locate the best possible tenants by presenting your property to the largest available market. Tenants respond to our eye-catching signs, fliers, and newspaper advertisements. Other Realtors respond to our property descriptions in the Multiple Listing Service, our Internet listings, and to our personal phone calls. We maximize your rental income and minimize your rental loss. We are always studying current market conditions to be sure we rent your property at its highest value. Even before your property is vacated, we are searching for excellent tenant candidates and will continue until your property is rented. We shield you by following and supporting all Federal, state, and local guidelines and laws. Taking the time with each tenant to review the lease and their responsibilities in leasing a home from us. Using proper and complete lease agreements, deposit forms, late notices and other legal documents proven in this area and in the industry. Honoring your preference regarding pets. When permitted, we strive to limit your risk by collecting appropriate pet deposits and actively monitoring the pet's behavior. We maximize the protection of your property by assuring you of desirable tenants based on our comprehensive screening process. We minimize unpleasant surprises by performing a thorough inspection. We prepare a detailed report on each property for both you and the tenant. All parties are protected by this baseline description of the property, which is signed and retained in a permanent file. We guard the value of your investment by being vigilant in monitoring your property. We combine both unannounced and routine, scheduled inspections as well as "drive-by" inspections. We safeguard your property by strictly adhering to key control procedures. We protect the value of your property by assuring that all needed repairs are done on a timely basis to guard against further deterioration, and in a cost effective and controlled manner. We know what repairs should cost, how long they should take to complete and which independent contractors do the best work. We supervise and control all repairs. We get the best prices and fastest response because of our large client base. We have the necessary recourse to correct poor performance in the unlikely event that it should occur. We avoid many costly repairs through routine preventive maintenance. All rent is due on the first of each month and late if received after the 5th. Collection steps are taken immediately and include hand delivered late notices and telephone calls. Late fees and penalties are assessed in every instance. Removal proceedings are initiated barring arrangements made by the tenant to make payments. We free you from the record keeping required for an investment property. We help you at tax time by promptly providing you with the needed Internal Revenue Service form 1099-MISC showing all rent income collected on your behalf. We meet your needs for customized record keeping and reporting processes in order to give you the best possible information. We value our partnership with you and are committed to providing you the best possible service at a reasonable price. We simplify your payment to us by automatically deducting our fee from rents collected and eliminating additional invoices for you to pay. We treat you fairly by only deducting a fee if your property is occupied. Therefore we strive to keep your property rented continuously in both our best interests. "Do I hire a Property Manager, or do I rent it myself?" The most common misconception of most homeowner's is that not hiring a management company means more money in your pocket. This is absolutely, most certainly, 100% inaccurate! Do you know what the market rent for your home is right now? How do I find tenants? Have you worked with contractor(s) in the area that will charge you a fair price, every time? Are you knowledgeable in the Fair Housing Laws in Virginia? Are you available to show your property 7 days a week, including evenings? Are you willing to pay a Realtor's commission if they find you a renter? What action do you take if your tenant does not pay rent, and is your action legal? What does it take to evict someone and will I have to face them in court? Do you have a lease that is valid in the state of Virginia? What happens if you violate your duty as a Landlord, are you opening yourself up for litigation and civil or criminal penalties? What if something breaks or is damaged in the house, who pays for it? What is the tenant responsible for with regards to maintaining the property? This example is not only an idea of what can go wrong, but instead what has gone wrong for homeowners just like yourself. This equation is why you hire ARMI. We are professional risk managers who turn your home into a source of income, rather than opportunity for potential financial risk. ARMI takes the guesswork out of effective property management and gives you two very important things, time and money. With offices in Warrenton and Gainesville, ARMI currently manages over 500 homes and buildings in Fauquier, Prince William, Culpeper, Loudoun, Fairfax, and Rappahannock Counties serving towns such as Gainesville, Bristow, Manassas, Warrenton, Haymarket, Ashburn, Centreville, Fairfax, Herndon, Leesburg, Middleburg, Marshall, Culpeper, to name a few. We have processes, policies, and procedures designed to provide you with seamless property management service. Most importantly, we have our pledge to you that we will do our personal and professional best to meet or exceed your expectations. No other job we do is more important to us. We believe that each property is our own personal responsibility and each client is our friend. Please allow our team to become your business partner. Complete the form to the right to get details on how we can make your rental property, an investment!